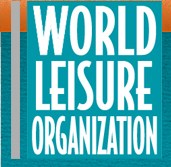 The Board o f Directors of World Leisure Organization (WLO) just welcomed Dr Lenia Marques as a member for the mandate 2016-2018. Among different partners and collaborators, WLO has been working with universities, industry and international bodies, such as the United Nations. One of the highlights of WLO forthcoming activities is the congress in Durban (South Africa), on which Dr Lenia Marques is member of the scientific committee. In this congress she will also present part of her ongoing research on online and offline leisure practices within events studies. There are still opportunities for UG and PG students to participate both in the congress (speakers, posters or volunteers) and in the international fieldschool in Durban (24 June – 2 July 2016). This is a very exciting opportunity for students, in particular in the areas of Leisure, Events, Tourism, Sports and Recreation. For more information on the WLO, the WLO congress or student opportunities, please contact Dr Lenia Marques, lmarques@bournemouth.ac.uk.